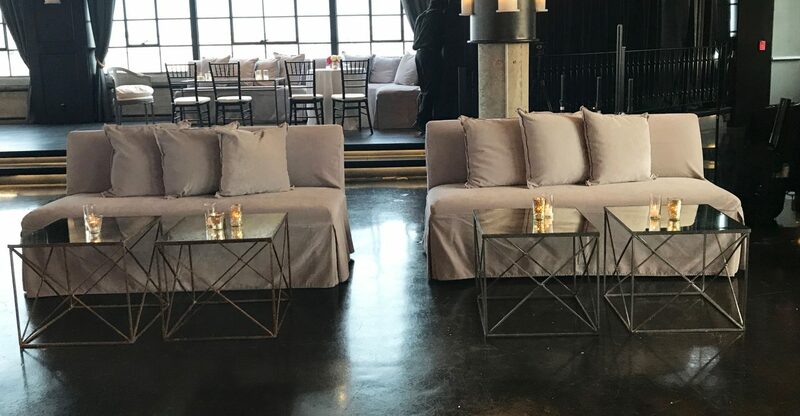 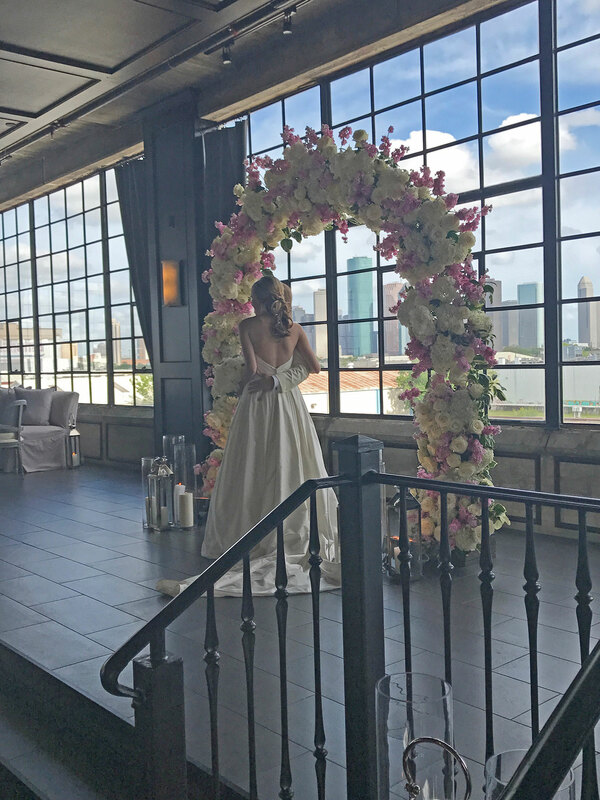 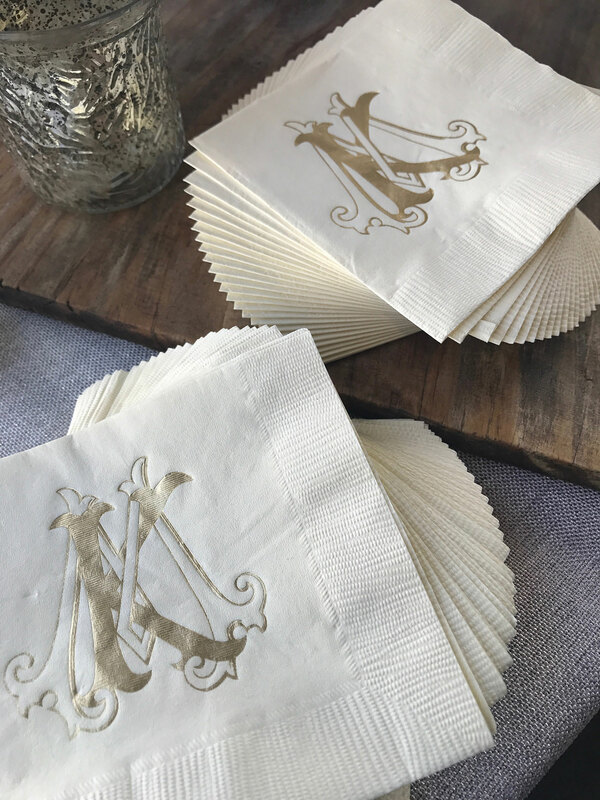 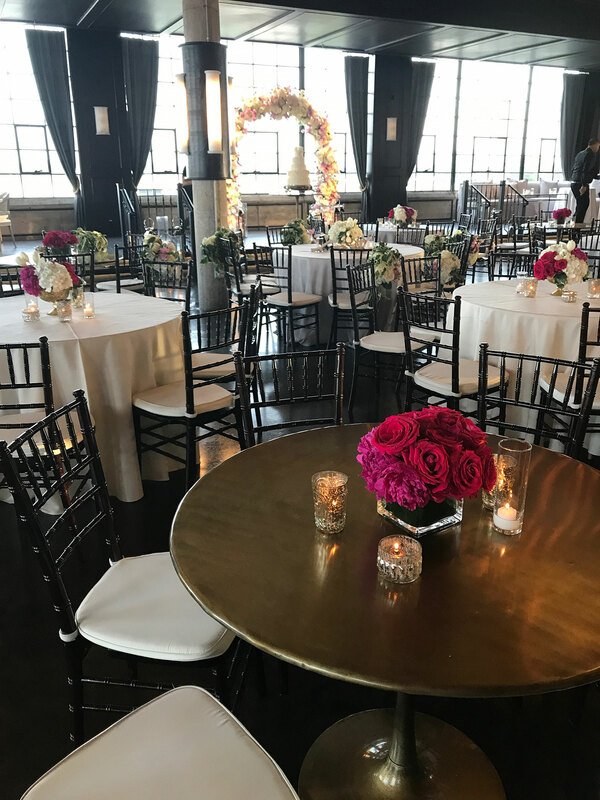 For this extravagant wedding, Swift + Company designed and executed the ceremony and the reception at the gorgeous Astorian venue overlooking downtown Houston. 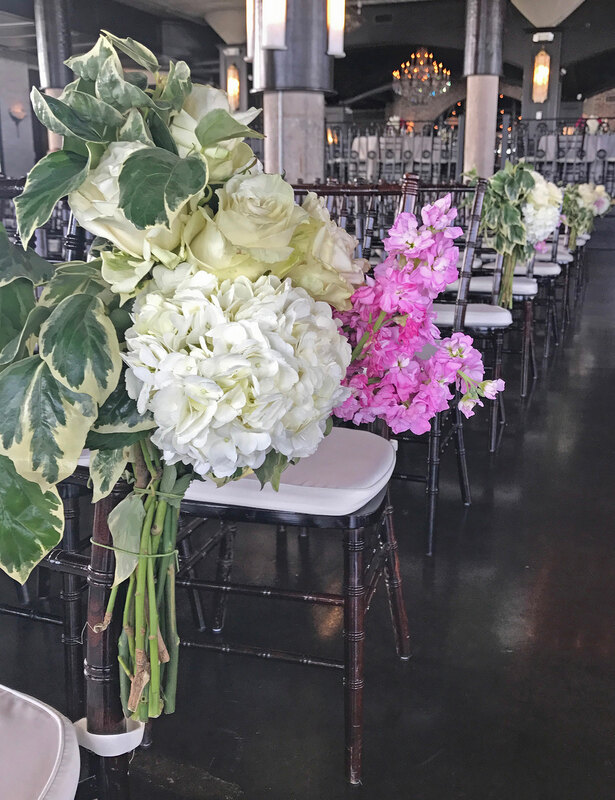 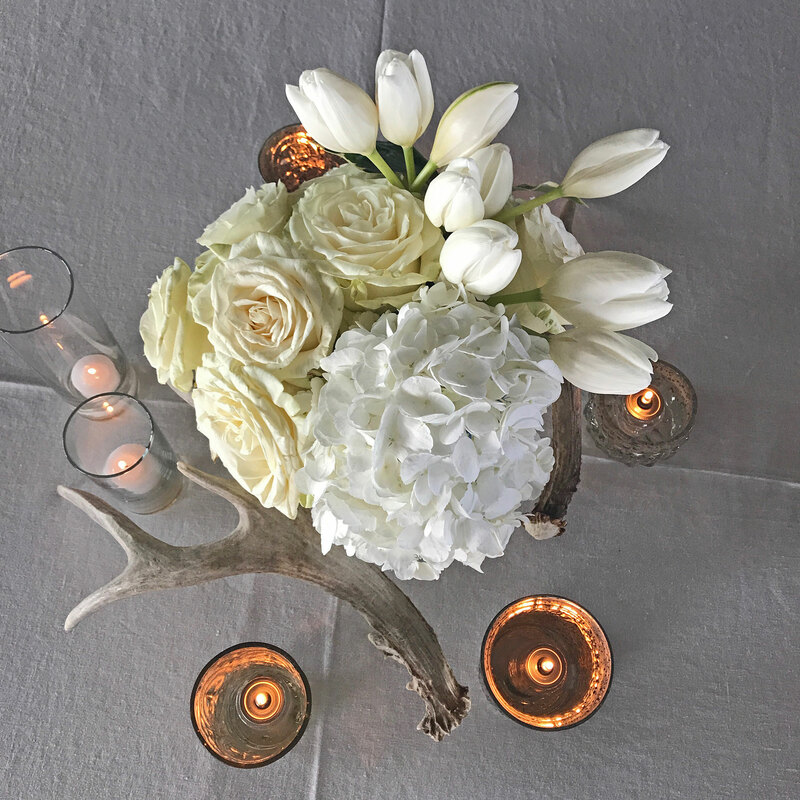 The bride and groom exchanged their vows under an altar of white roses, hydrangeas, extra-large peonies, blush stock and garden ivy by Swift + Company Flowers. 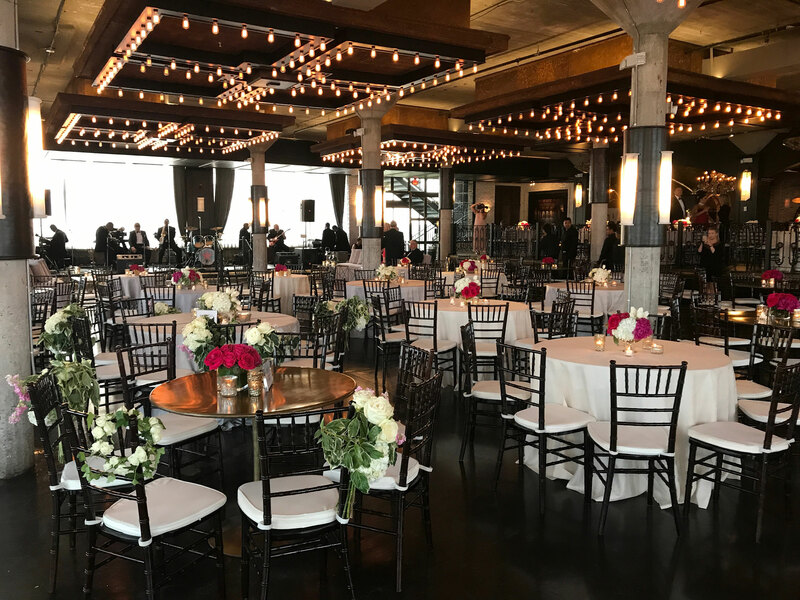 Details large and small had to be meticulously planned to make sure the room flip for the reception was seamlessly executed. 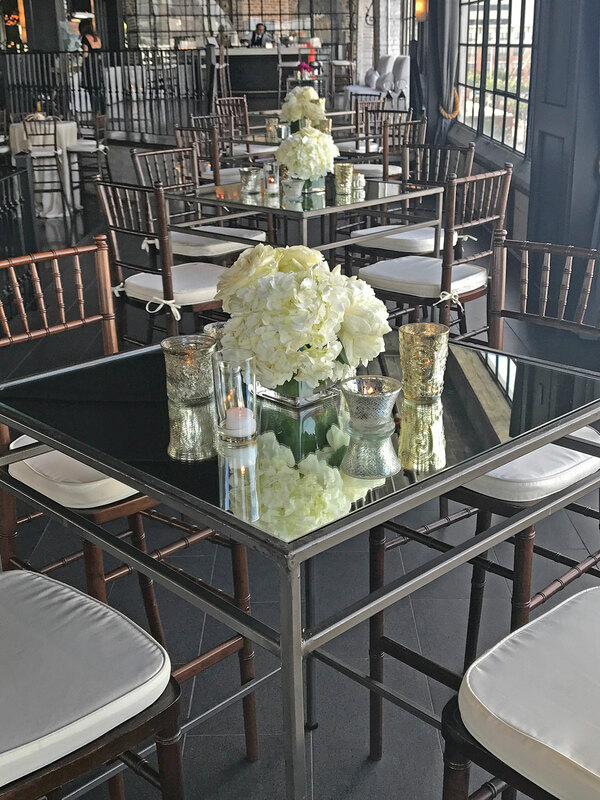 The ceremony chairs were traded for bronze tables and ivory and silver linens. 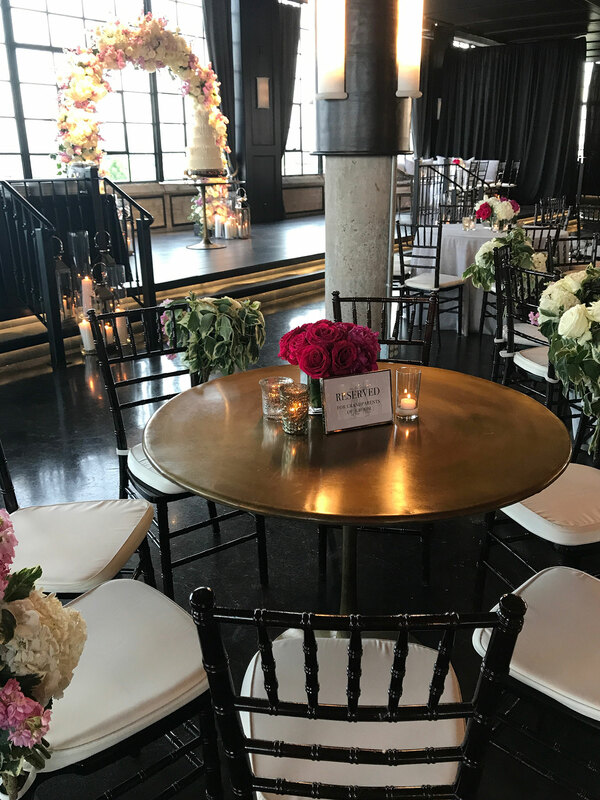 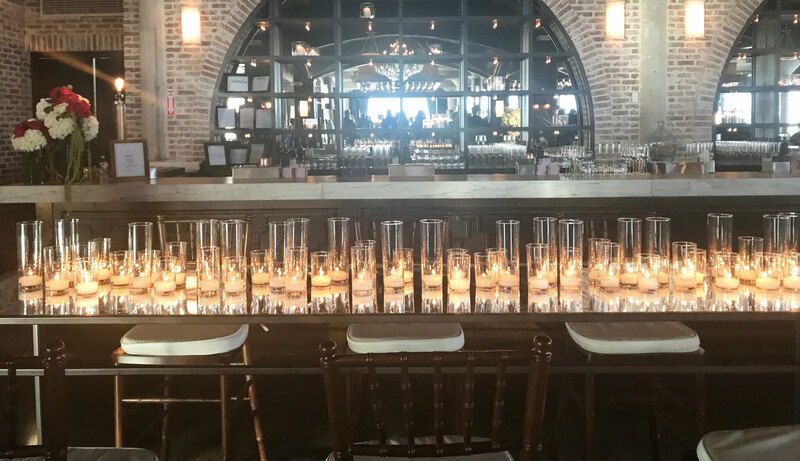 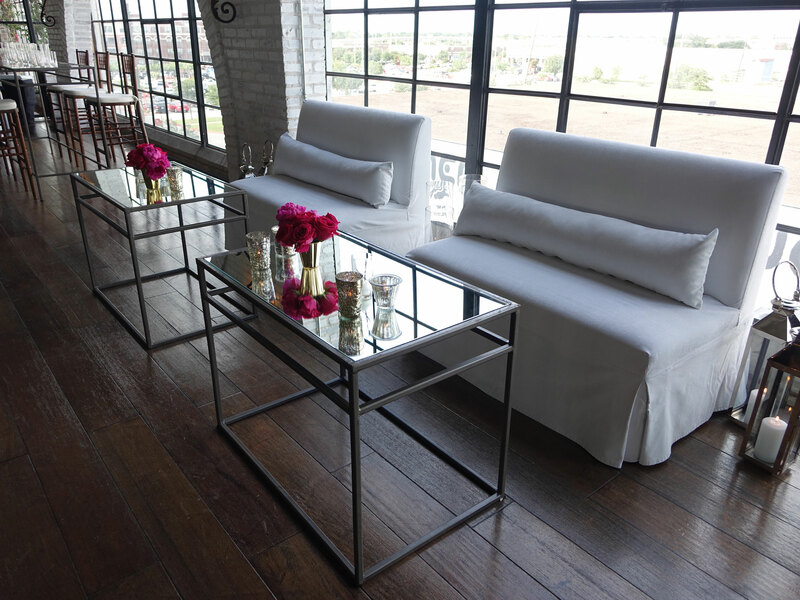 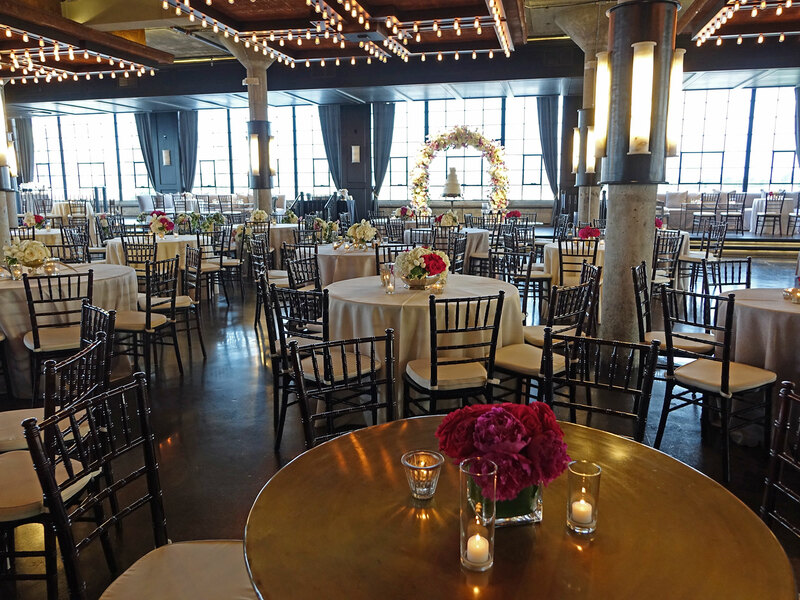 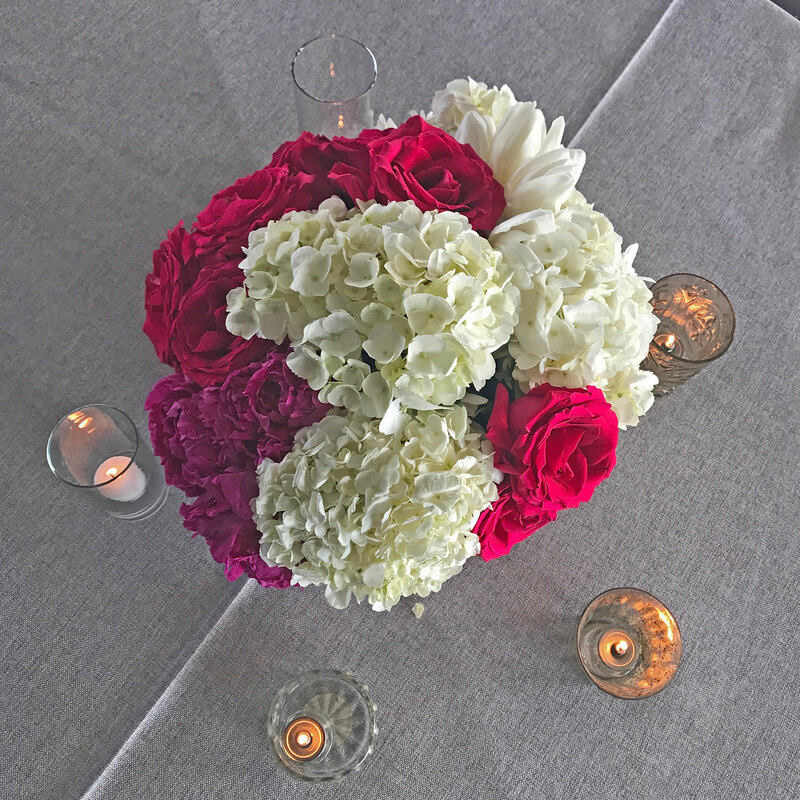 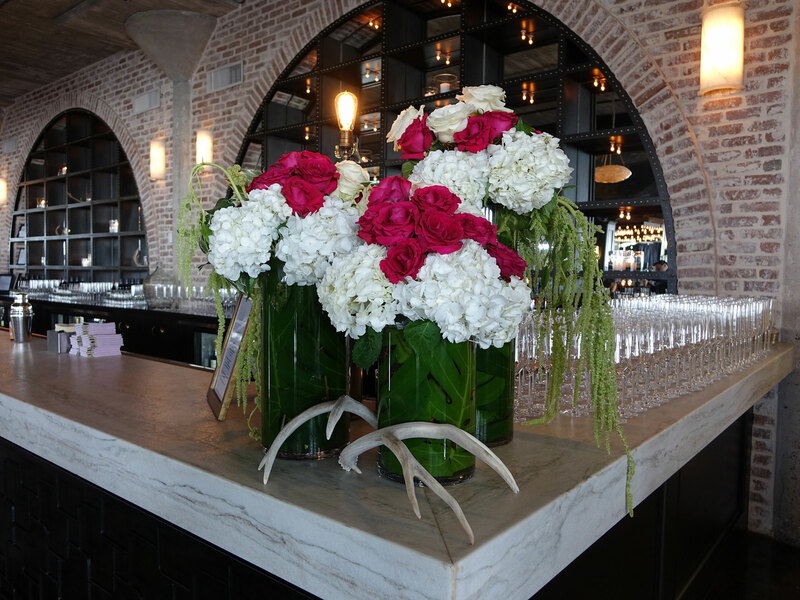 Bright pink and white flower arrangements and clusters of glass, gold and mercury votives adorned the seating tables. 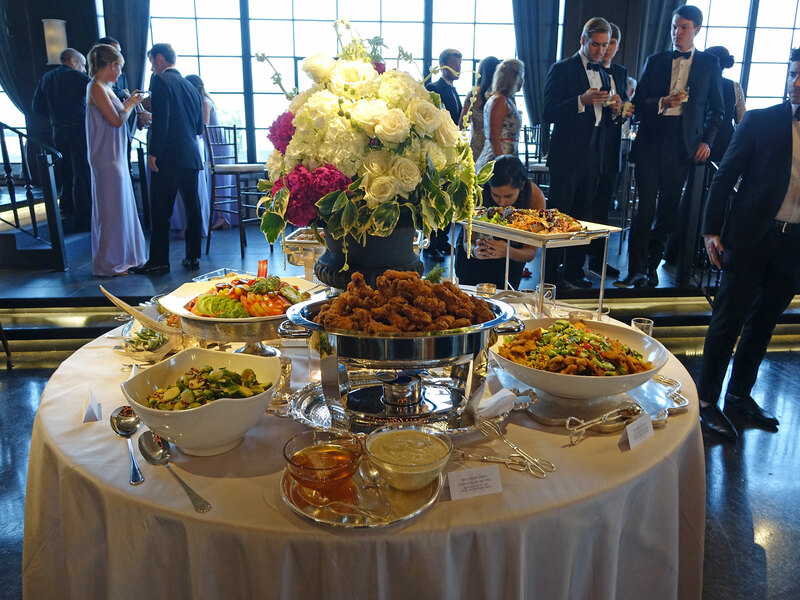 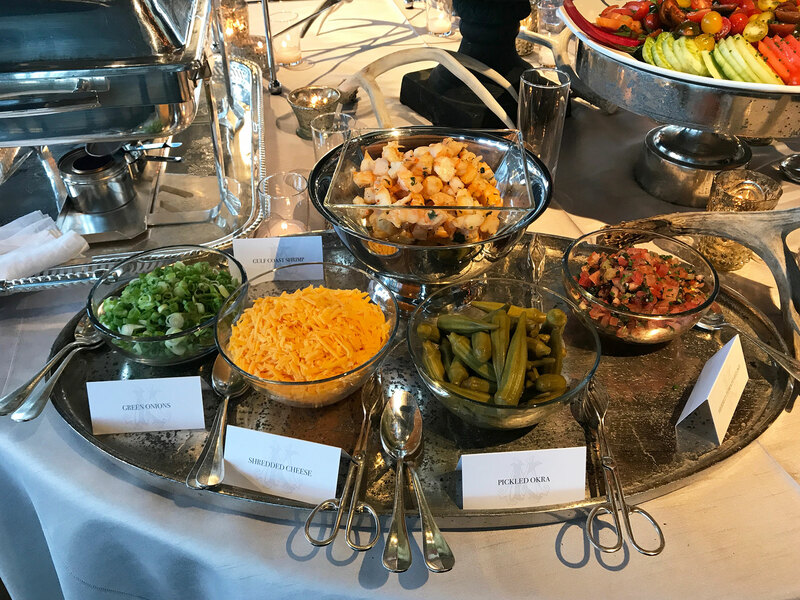 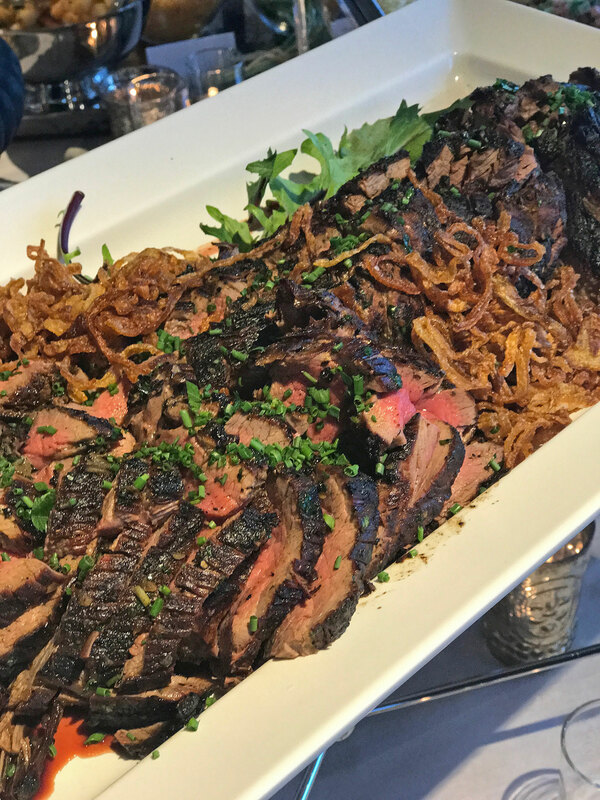 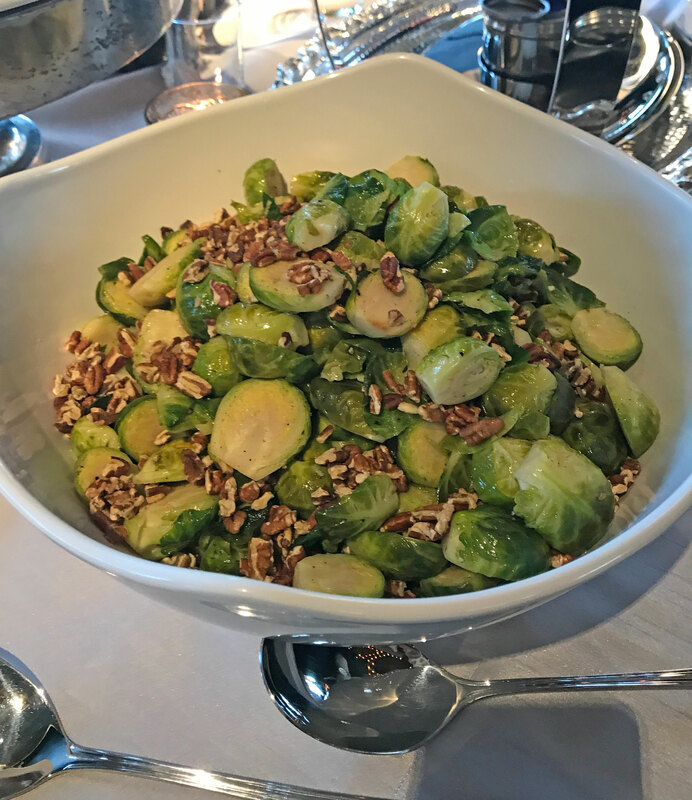 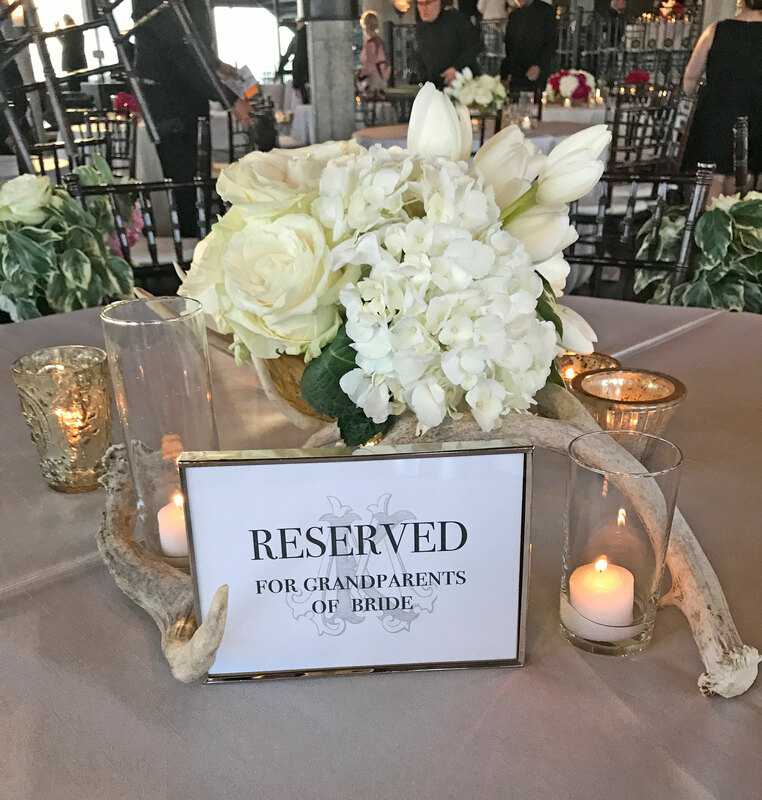 Guests enjoyed the bride and groom’s favorite foods, southern fried chicken, grilled tenderloin of beef, shrimp and grits and peach cobbler a la mode. 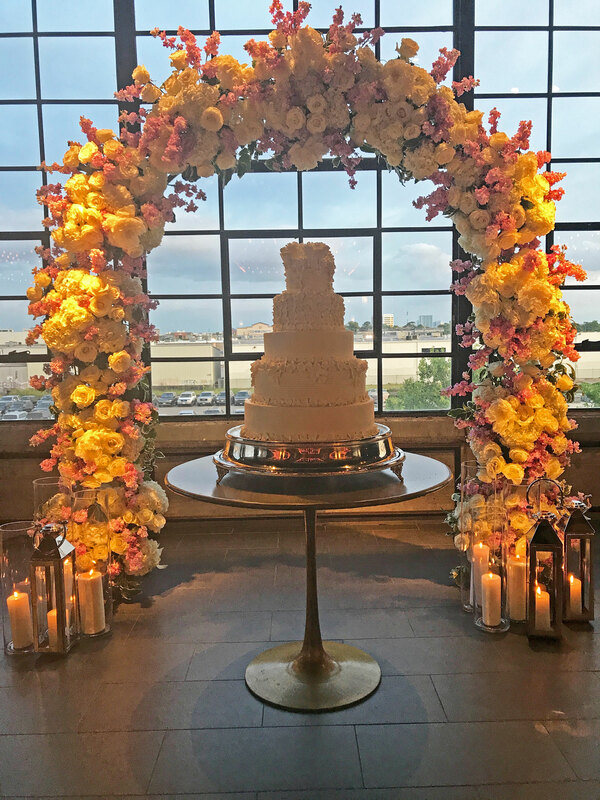 The live ceremony painter, Hannah Lee, recreated the evening for a wonderful keepsake the couple will keep forever.